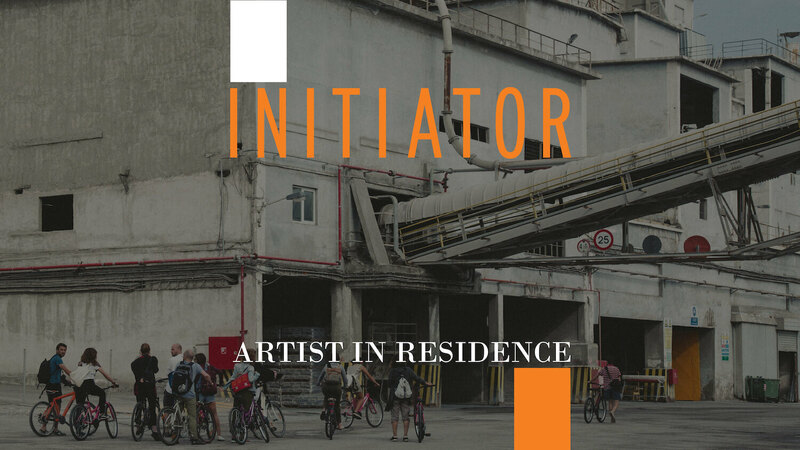 The first international artist-in-residence programme about installation art, Initiator is conceived for emergent artists that have previously graduated from fine arts schools from Greece and abroad with relevant experience or special interest in the medium. It is initiated on October 8, 2018, consisting of a one-week intense workshop, an on-site research and production, and an exhibition that will be held on November 8, 2018, in Central and Lower Eleusis. This programme gives the opportunity to young artists with the guidance of experienced artists and curators to conceive a project and experiment in small-scale installations. 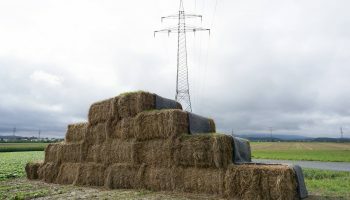 The initiation process to installation art will be carried out in collaboration with the 40m cube, art centre in Rennes, France and in particular with the curator Anne Langlois and the Mosquito Coast Factory in Nantes, France, with its founder and artist Benoît-Marie Moriceau. The artists were selected through an open call that was met a lot of success. In less than one month, we received eighty applications from all around the world. This year, we will have the pleasure of welcoming in Eleusis: Sophie Innmann (Germany), Evi Kalogiropoulou (Greece), Doruntina Kastrati (Kosovo), Hortense Le Calvez (France), Panos Profitis and Despina Charitonidi (Greece). Sophie Innmann holds a degree in Fine Arts from Staatliche Akademie der Bildenden Künste Karlsruhe, where she graduated in 2014 as Meisterschülerin of Prof. Leni Hoffmann. Various residencies and grants followed, for example at CIA in Paris (FR) or Hangar, Barcelona (ES). Her work has been shown internationally in museums and galleries including Moscow Museum of Modern Art (RU) and Kunsthalle Basel (CH). 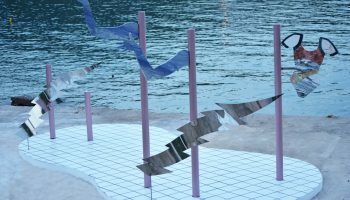 Her conceptual interventions incorporate her interest in human activity in relation to time and architectural settings. Hortense Le Calvez (b. 1988) is a multidisciplinary artist exploring themes of environmental dystopia, eco-anxiety and the anthropocene. 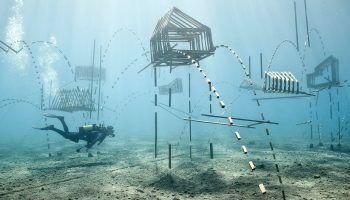 Her water-based practice, under the name Forlane 6 Studio, depicts irrational aquatic fictions in the form of in-situ sculptural installations. She works and lives in Poros Island in Greece. Evi Kalogiropoulou is a visual artist has studied in Athens and London and currently works in both cities. Evi has exhibited in various spaces in London, Germany, and Greece such as Chisenahale Gallery and Whitechapel Gallery in London. She works mostly with moving image installations, experimental film, and sculpture; her projects explore ideas associated with the inclusion/exclusion, cross-culture identity, female figures in Ancient Greek mythology and sci-fi environments. Doruntina Kastrati born in Prizren in 1991, graduated in Graphic from the University of Prishtina, Faculty of Fine Arts. Doruntina lives and works between Prizren and Prishtina. 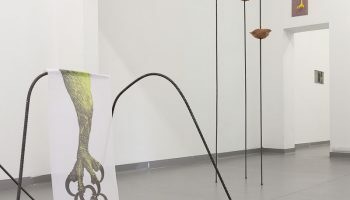 Kastrati has presented her work in the twelfth edition of the Young Visual Artist Award (2014) at the National Gallery of Kosovo, where she was announced as the winner of this edition. Throughout the period of January-March 2015, she attended the International Study Program and Curatorial Program (ISCP). In January 2016 Doruntina became the winner of the first edition of the Foundation, led by artist Petrit Halilaj. In February 2017 she opened her first personal Exhibition Red Landscape curated by Vala Osmani at Stacion – Center for Contemporary Art. 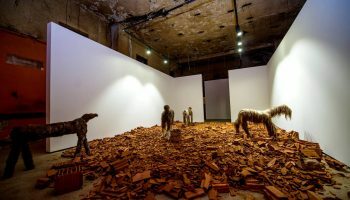 In August 2017 Kastrati has exhibited in the first edition of Autostrada Biennale curated by Manray Hsu in Prizren, Kosovo, by presenting a big scale installation called “ The long walk”. Despina Charitonidi (b. 1991, Athens )lives and works in Athens. She has studied at the Accademia di Belle Arti di Roma and at the Hogeschool voor de Kunsten Utrecht. She has exhibited at the Museum of Contemporary Art of Rome and has participated at the Nue Now Amsterdam. She has received twice the International Sculpture Price Edgardo Mannucci. Panos Profitis (b. 1988, Athens) lives and works in Athens. He has studied at the Royal Academy of Arts in Antwerp and at the School of Fine Arts in Athens. In 2017 he had his first solo show at the Annie Gentils Gallery in Belgium. He has represented Greece at the Young Artist Biennial in Ancona, Italy, in 2013. Since 2016 he has been working with Despina Charitonidi. Their collaborative work has been presented in Antwerp, Rome and Athens.